It is said the word origin comes from the word [Yukatabira] worn to protect a persons body from burn injuries from the steam while using the steam baths in the Heian Period of Japan. The Yukatabira then were used to wipe water much the same as a bathrobe after bathing. It then became a common form of simple clothes for wearing to and from the bathouse among common people during the Edo Period. There are still sometimes those that say [Yukata are not for wearing outside], that opinion stems from the historical use of them as bathrobes. 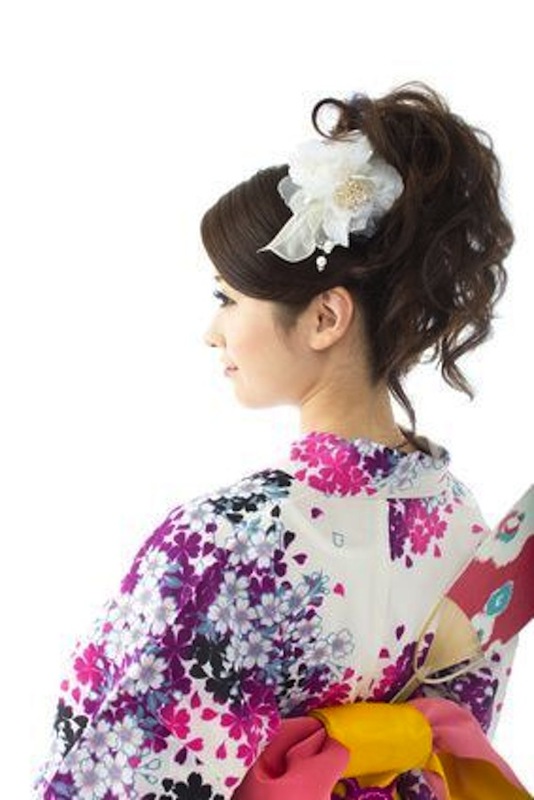 However, what is referred to today as a Yukata, is completely different from the thing of the past. From the middle of the Showa Era after the ‘Kimono Culture’ dipped temporarily, a new [Easy to Wear Kimono] began in the 1990’s. This new type of Yukata became very popular with the younger generation, and this is thought to be the start of the new ‘Yukata Culture’. Conventional Yukatas for example are provided to guests in Japanese Inns to wear in the room or over their pajamas, these are clearly different from the elegant types of Yukatas.